…was yesterday, but I made him a card anyway. He turned 81 years old. 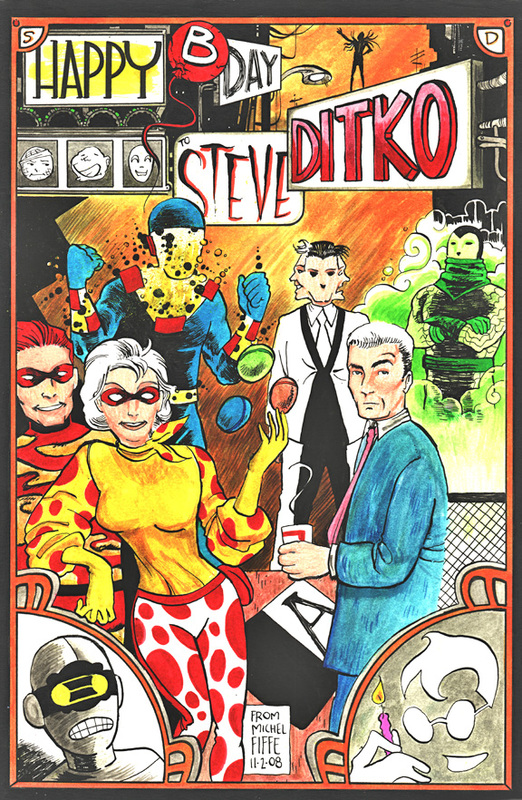 You may recognize the name Ditko as the creator of many of your favorite comic characters such as… ah, the names escape me… Spider-something or other. 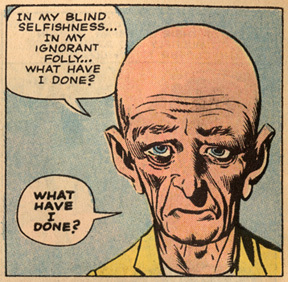 Anyway, he’s a comics legend, an innovator, and he’s still making comics. 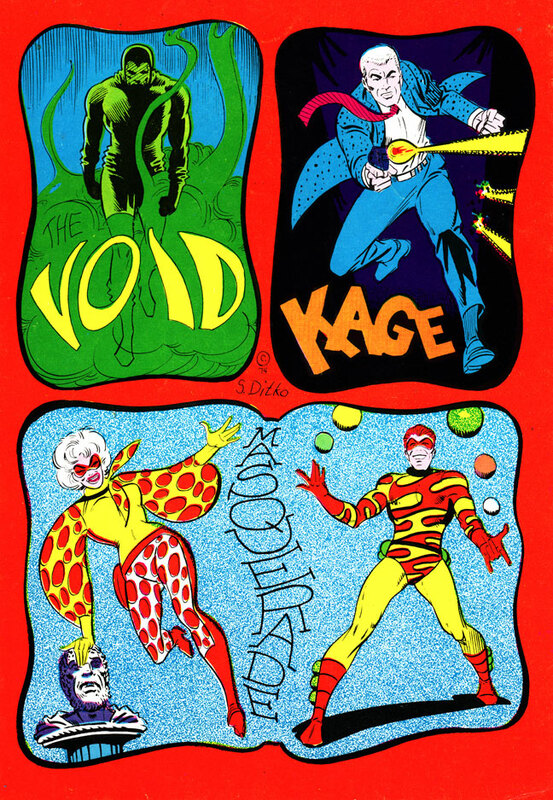 I have cobbled a few of my personal favorite Ditko pieces, some not seen too often and others never to be reprinted elsewhere. 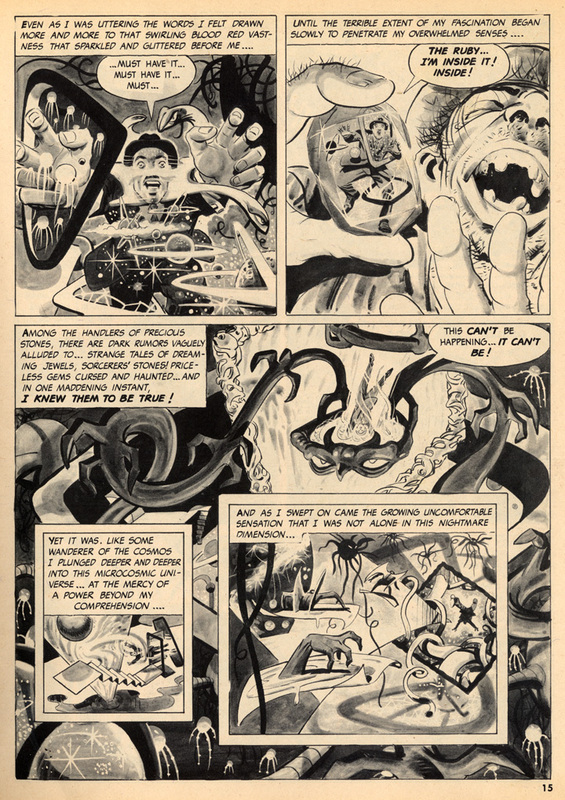 Like Ditko often suggests, there is black and then there is white and there is no in between. 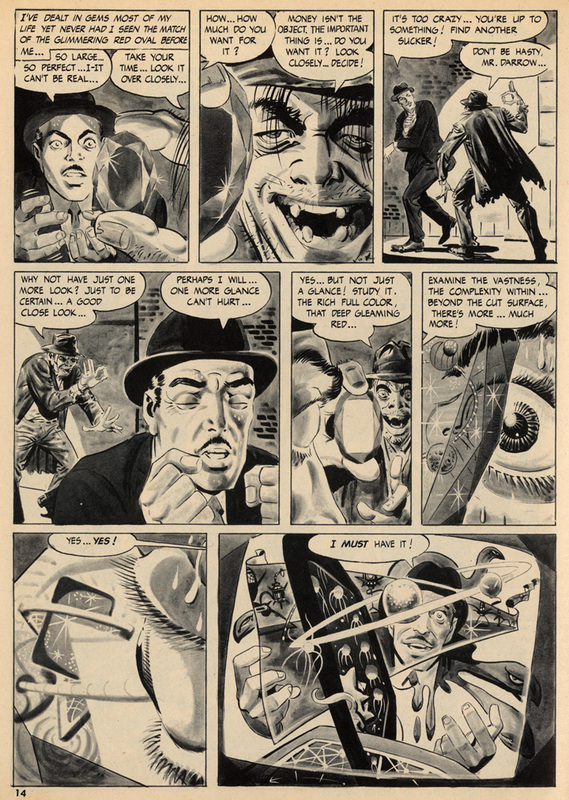 “Deep Ruby” from Eerie #6, Warren Publishing, Nov. 1966, written by Archie Goodwin. 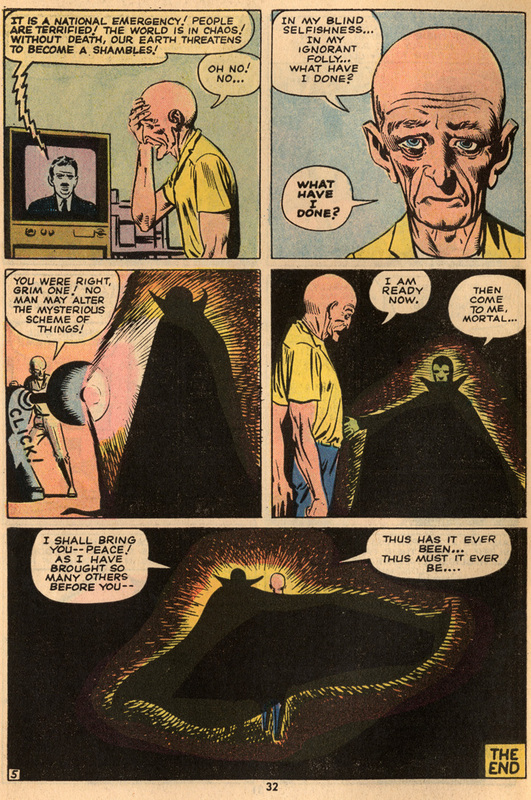 This story is some of my all time favorite Ditko material. 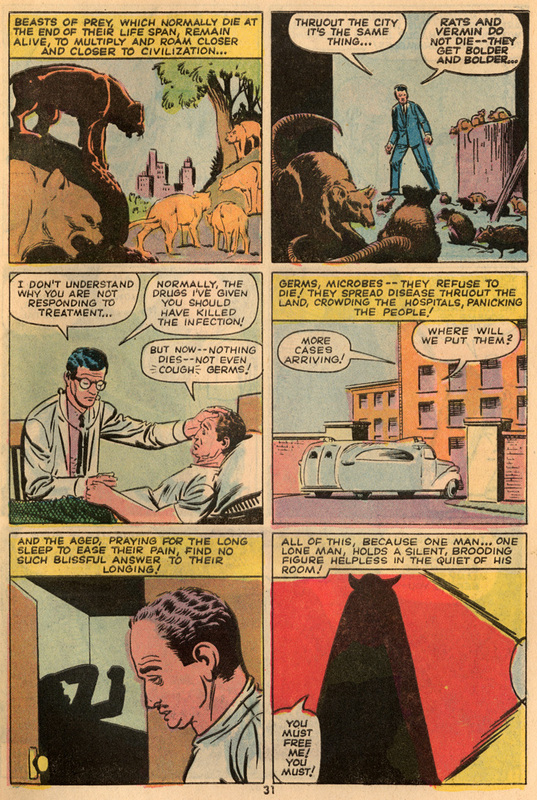 Archie Goodwin was a great writer and the combination was a potent example of “Pure Comics”. On top of that, they did it in the short story format, which is hard to master and is an Art in itself. 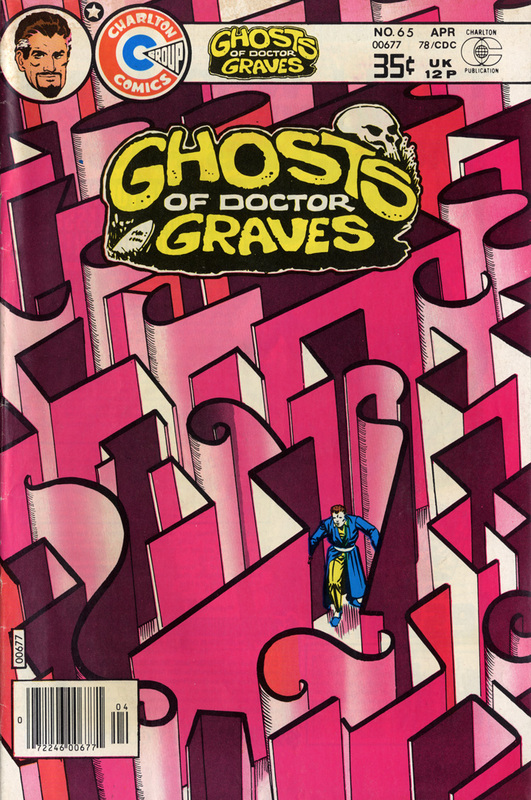 The Many Ghosts of Dr. Graves # 12, Charlton Comics, Feb. 1969. 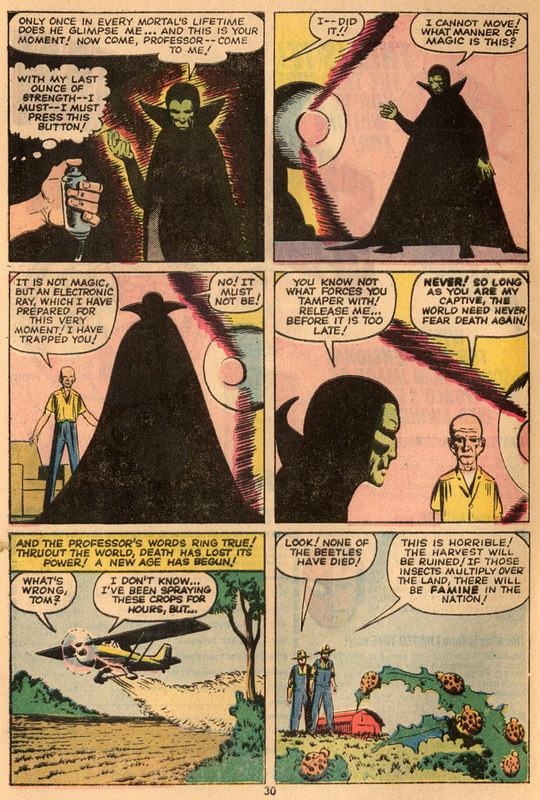 A five page sampling of something straight out of Dr. Strange… if not, dare I say, better. 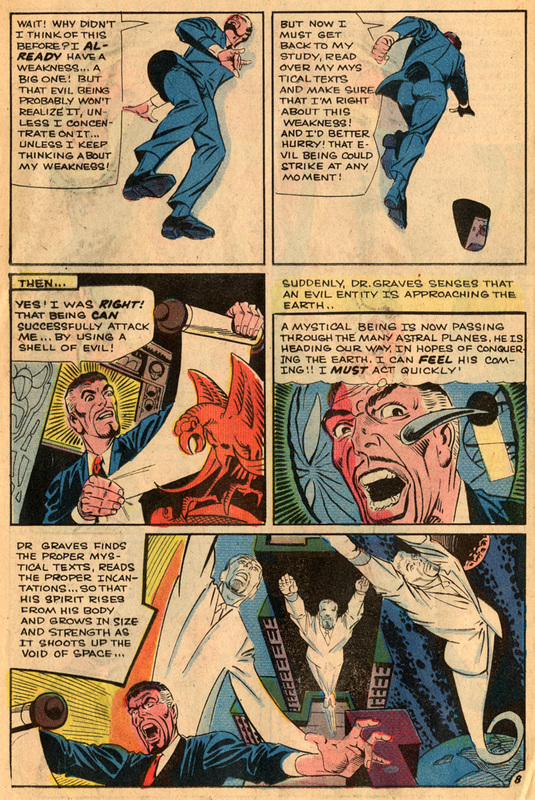 Staking claim into independent publishing when it wasn’t so common, Ditko presented an entirely new set of heroes for this comic. 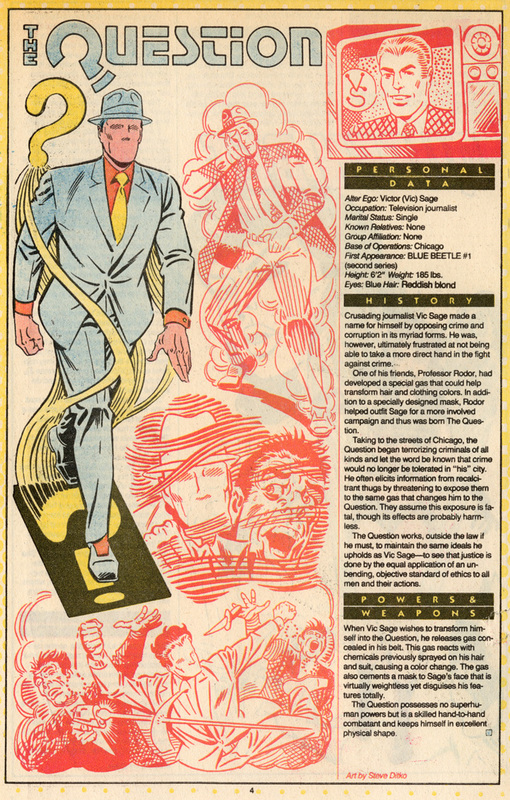 Below is the back cover to Wha!?! 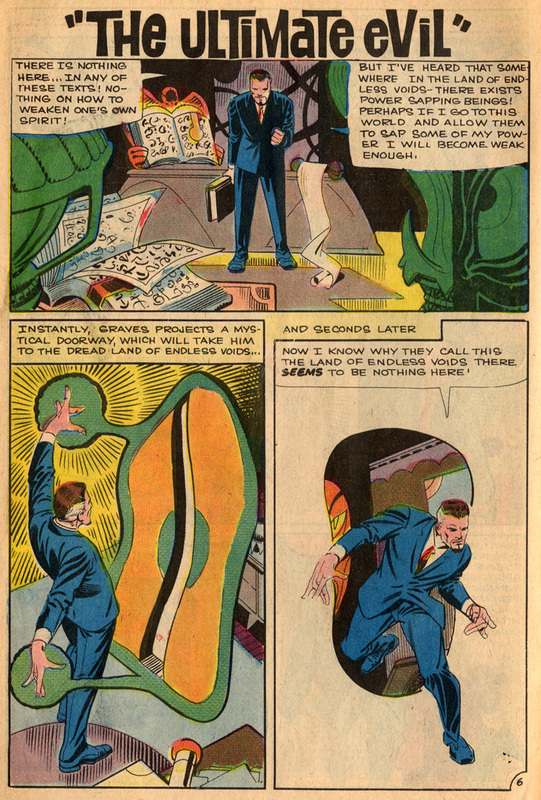 – Ditko’s “H” Series #3, published in 1975 by Bruce Hershenson. 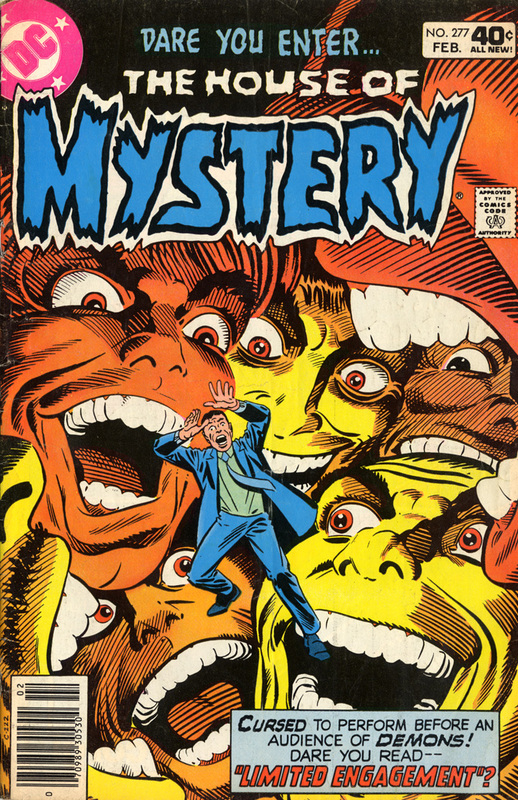 Though I suspect this cover was part Ditko, part Charlton Production Staff, it’s still an eye catching cover (from April 1978). 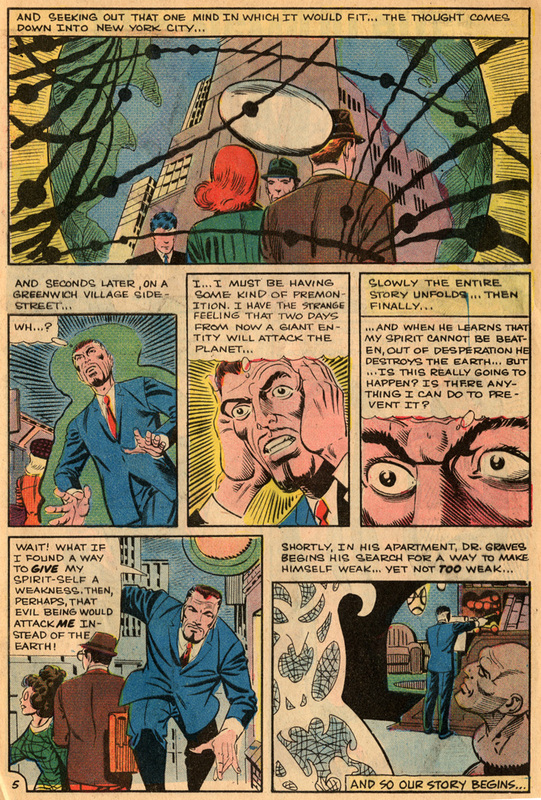 Out of the many issues of Rom that he drew, this page is a rare glimpse into Ditko’s vision of the Marvel Universe. 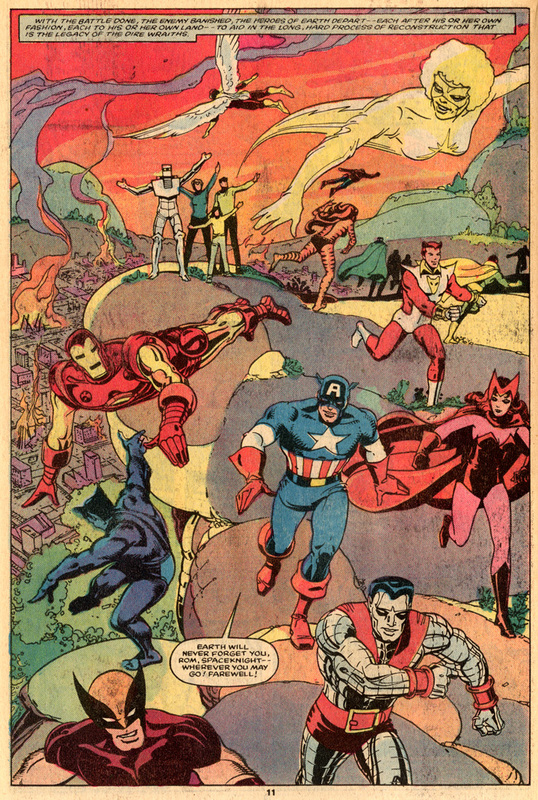 He rarely drew the Avengers and he never touched the X-men, so this Steve Leialoha inked Rom # 66 (May 1985) is a small treat. 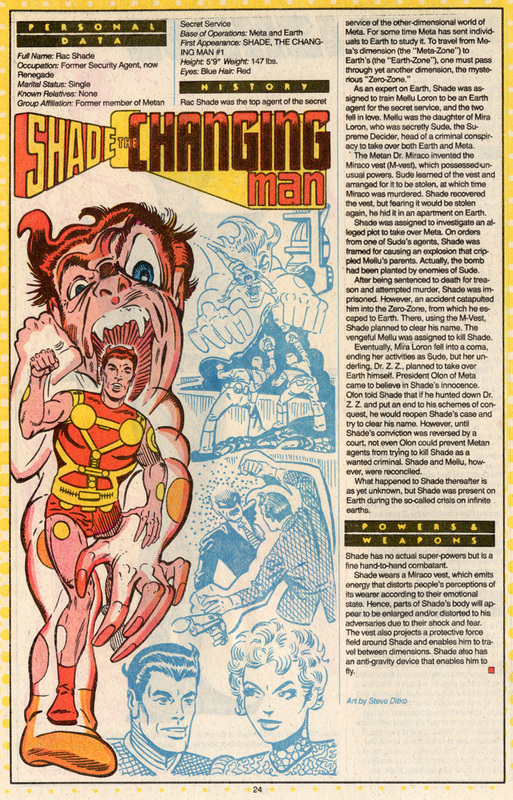 …and Shade the Changing Man (#20, Oct. 1986). 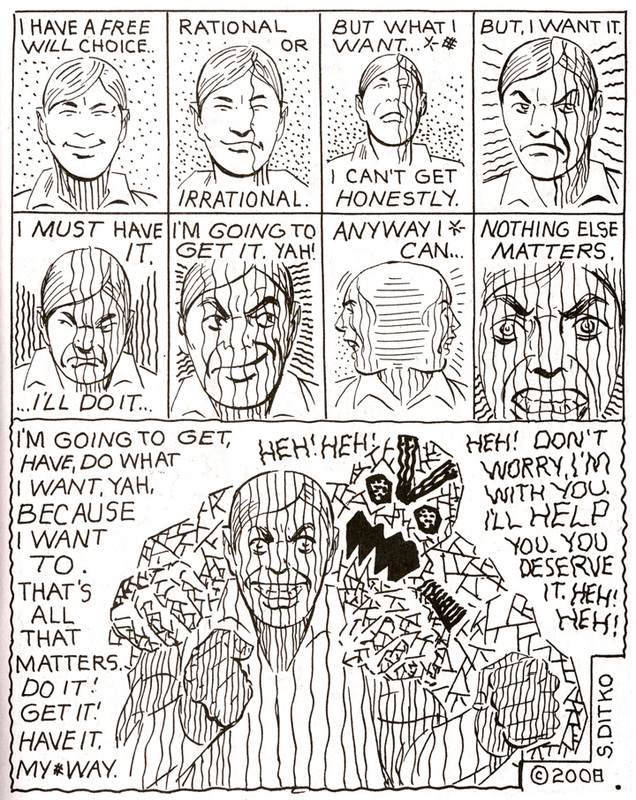 Always creating new characters and concepts, Ditko used whatever platform he had to cultivate and present his ideas. 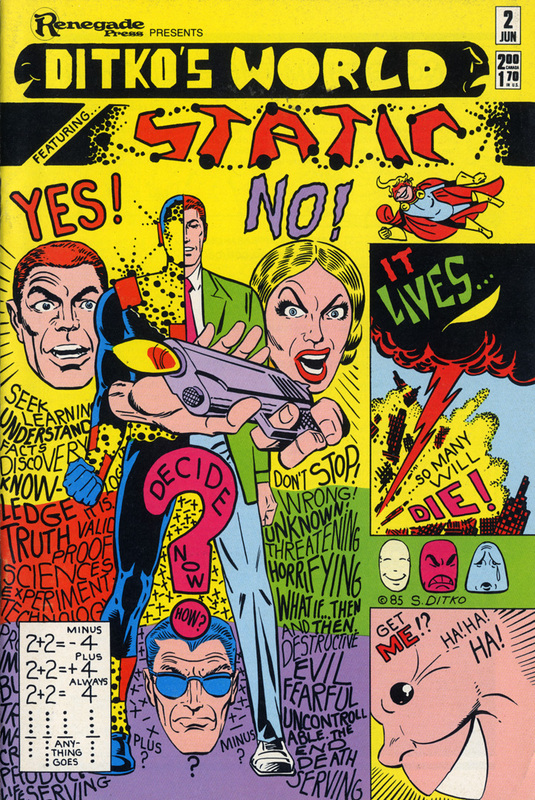 This time, Ditko’s World was a short lived, one man anthology with themes ranging from action, humor, horror and philosophy (Renegade Press, June 1986). 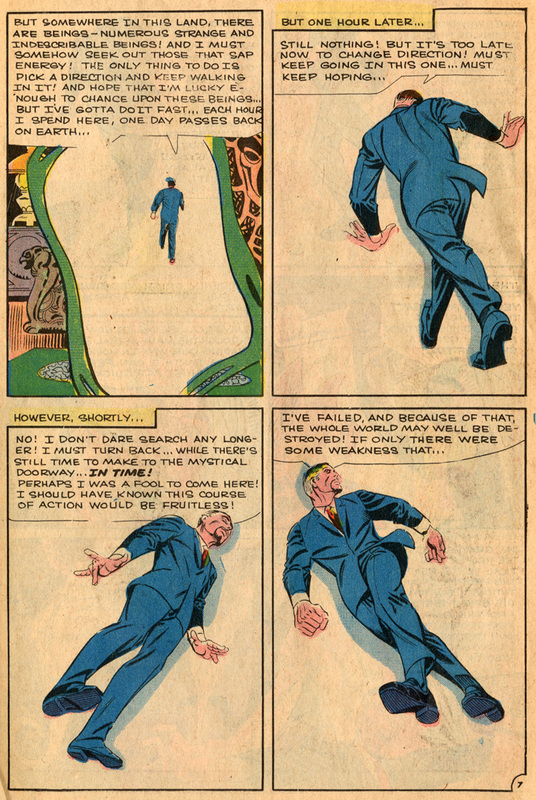 To bring this post to a close, I’ve selected a 5 page Ditko/Lee tale that is silly in concept, heavy in subtext and beautifully executed. 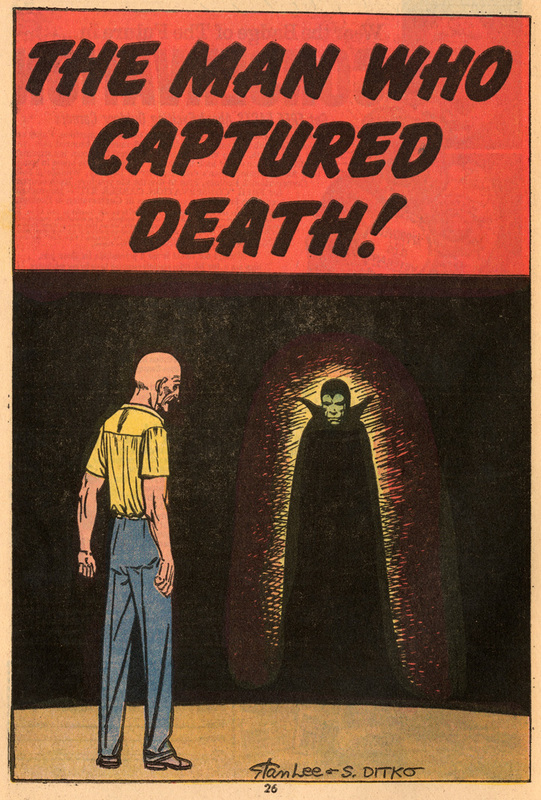 “The Man Who Captured Death” (originally from Amazing Adult Fantasy #9, Feb. 1962 & reprinted in Astonishing Tales #21, Dec. 1973), is the Marvel short story at its best. 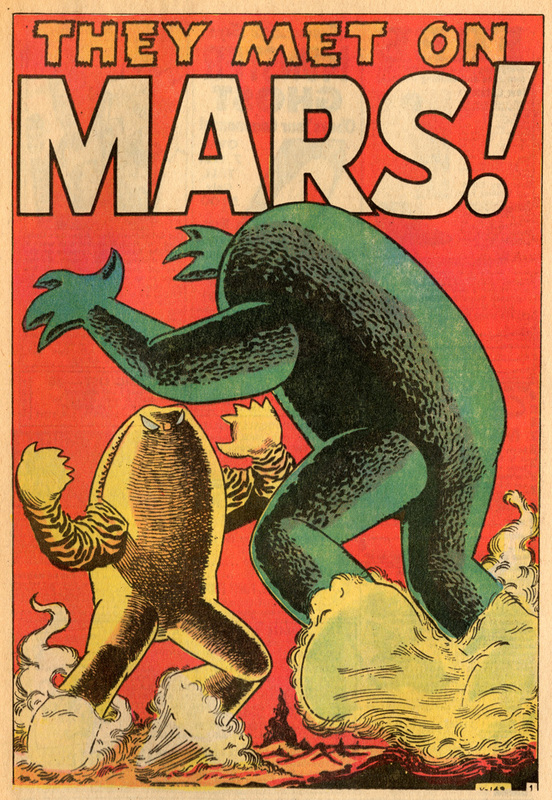 It can also be found, recolored, in the aforementioned Amazing Fantasy Omnibus. 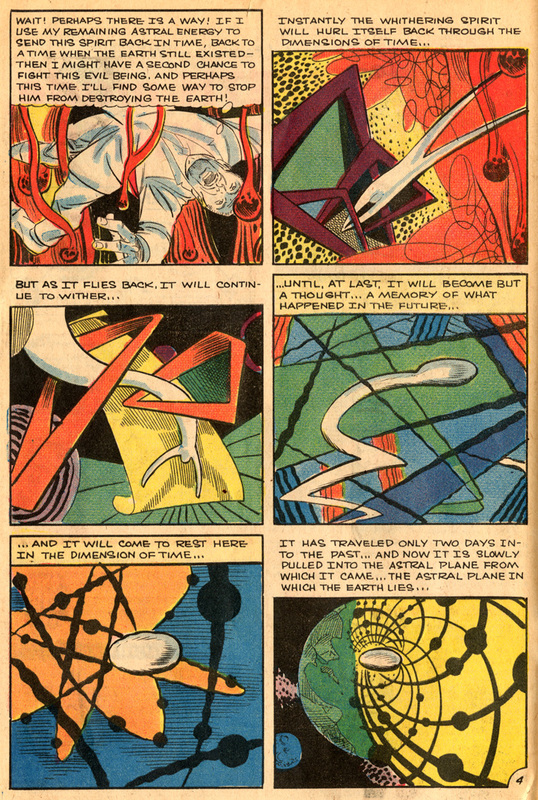 I never appreciated Ditko when I was younger, but now I’ve found myself on something of quest to get all the fancy reprints of his work. 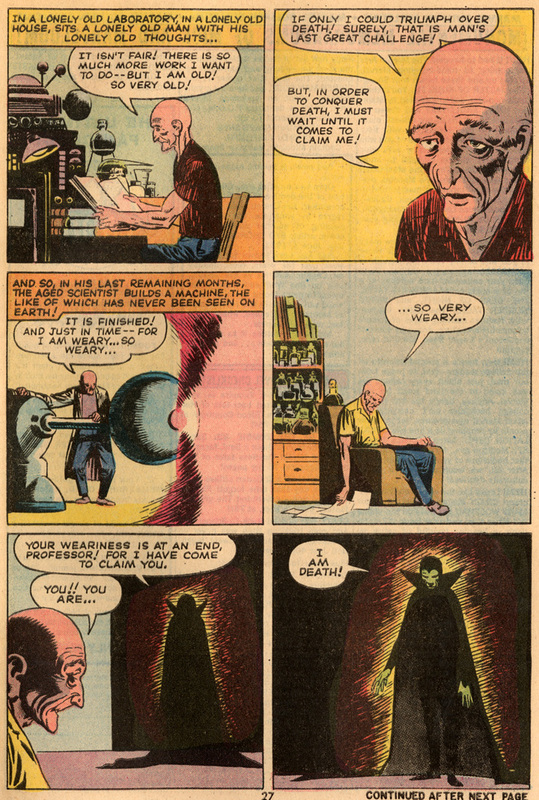 The Amazing Fantasy omnibus is particularly sweet.